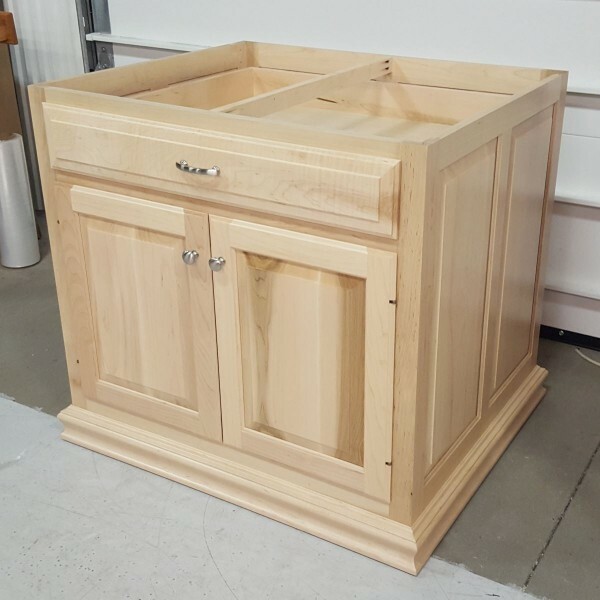 This custom island was designed and built specifically to the customers specifications. 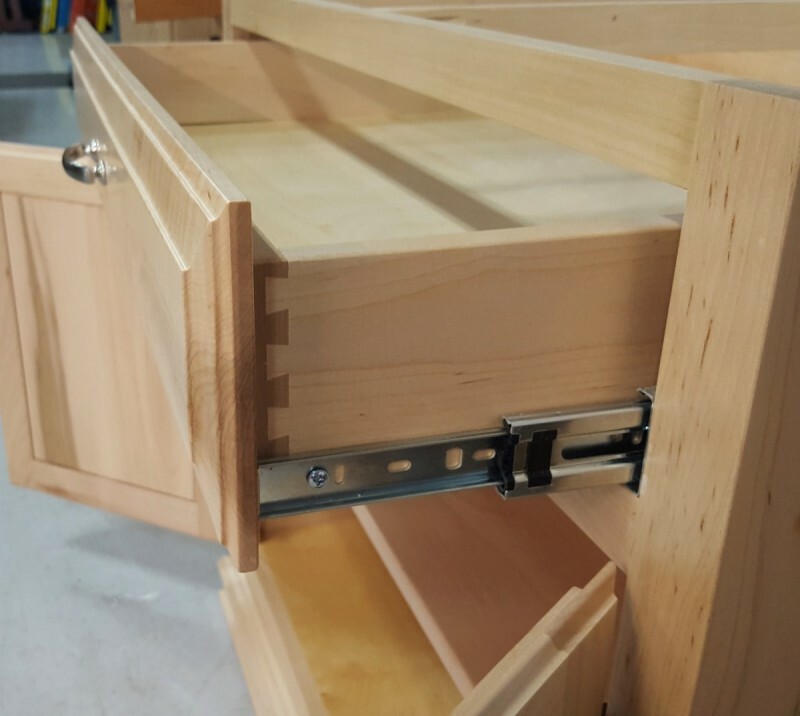 The drawers are dovetailed with full extension ball bearing drawer slides and there is an adjustable shelf behind the doors. 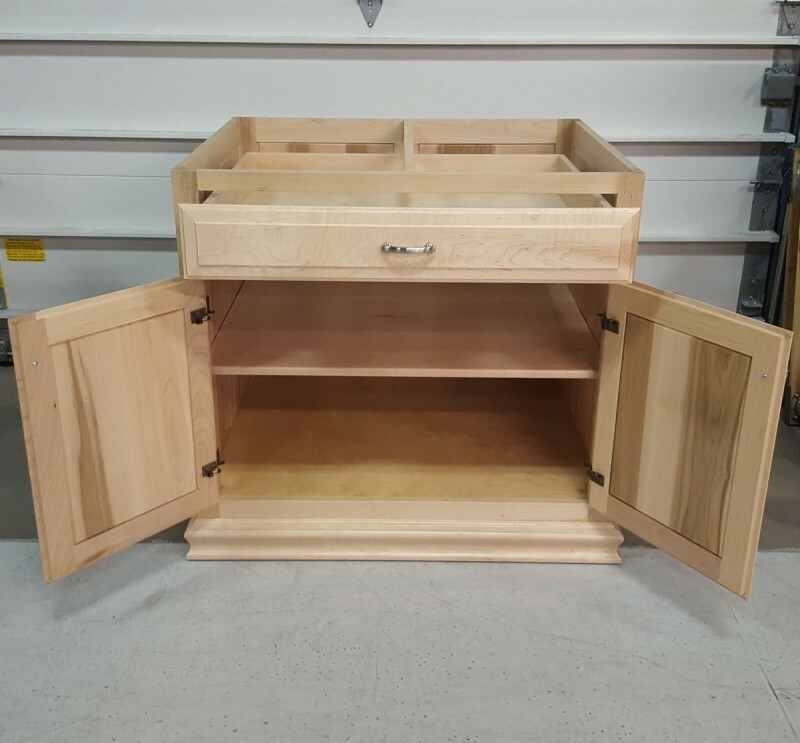 Bring us your custom ideas and let us bring them to life!